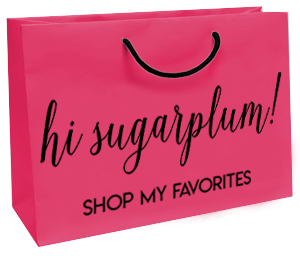 Amazon Fashion Finds | September | hi Sugarplum! Holla for making it to the week’s halfway point! My successes this week include finishing a mountain of laundry, and staying awake past 6pm. #babysteps Jet lag is no joke! 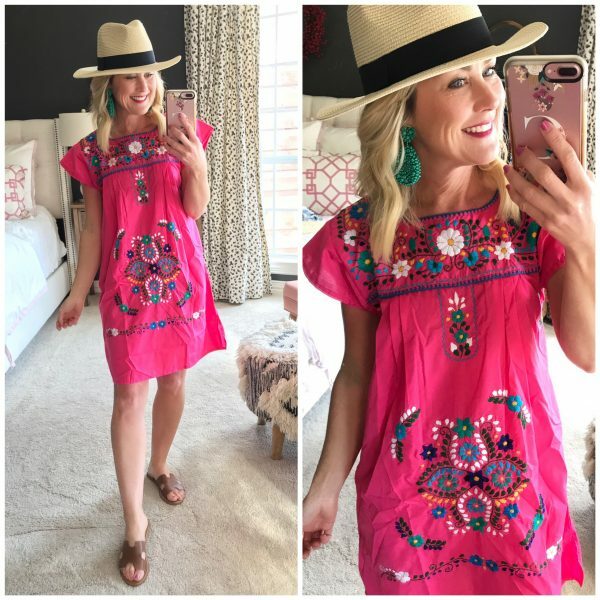 I’m not gonna lie, it takes a lot of digging to find the good stuff on Amazon, and I certainly try-on more misses than hits (tons of things never make it to the blog! )…but there are definitely fashion gems at amazing prices to be found, along with that infamous Amazon fast, free shipping and returns. In preparation for our trip, I ordered tons of cozy tops and a few dresses…and here is the best of the batch. Sidenote: If you’d like to see more of these Amazon posts, please consider not shopping the post via their app when on your phone/tablet. Not only does it not credit the sale to me (so only Amazon benefits), but it keeps me from seeing what you like most! Thank you for considering this option. My hands-down fave find is this hooded pullover in a darling stripe. It’s super-soft and stretchy, in a thick, jersey knit material. It has a rounded hem and high funnel neck with hood. It’s darling with jeans, or size up to wear as a tunic with leggings. I wore it with my workout pants on the cruise, and already have my eye on the other colors. Fit Tip: I’m wearing an XS, but would prefer a looser fit, so I’d suggest sizing up one. 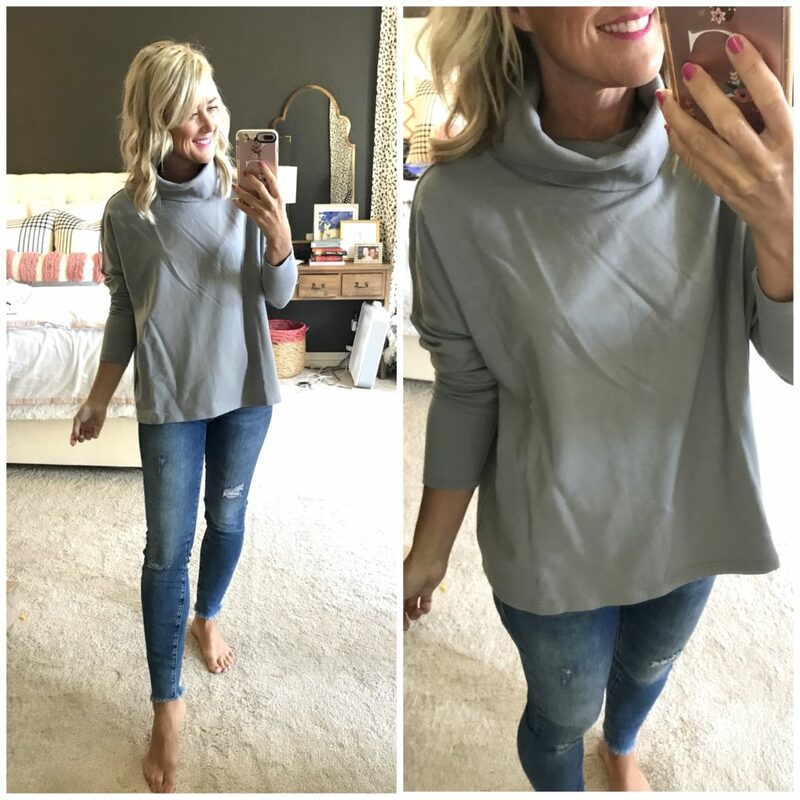 This crewneck tunic is another gem…same soft feel as the hooded top, but a thicker sweatshirt material. It’s long enough for leggings, and has a cute side slit. It’s so comfortable, too, so it’s the top you’ll reach for every weekend this Fall. Fit Tip: I’m wearing a small and love the fit, so size up one. Forgive the wrinkles (I was in a mad-dash to pack! 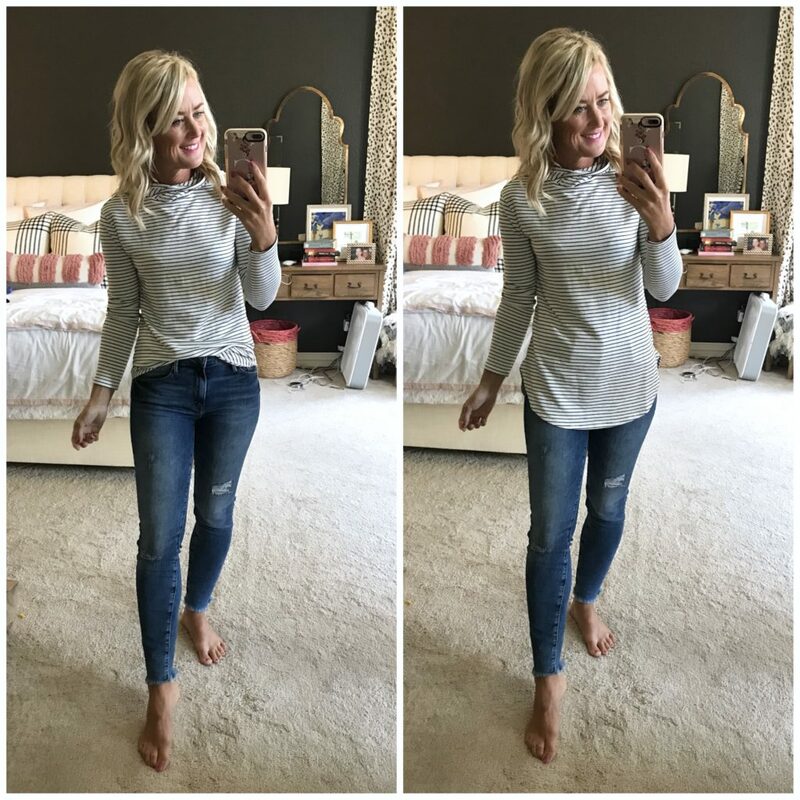 ), but how cute and cozy is this funnel neck pullover? The same thick, modal cotton that you want to live in, with a relaxed dropped shoulder seam. I do wish it were long enough for leggings, but it’s cute with a little half-tuck in jeans. Fit Tip: I’m wearing a small, so I sized up one. Even though it’s chillier, I reach for tanks constantly in the Fall and Winter. I love to layer them under cardigans or sweaters, but can never find them thick enough or long enough…until now! Now I can wear my favorite long cardigans with leggings, because this tank fully covers the lady bits! But I can also half-tuck it in jeans, and pair with light jackets. These v-neck tanks are closet staples, for sure! And did I mention they come in a 2-pack for only $20!? Fit Tip: I’m wearing my usual XS and they’re really fitted. For a less body-hugging fit, go up one. 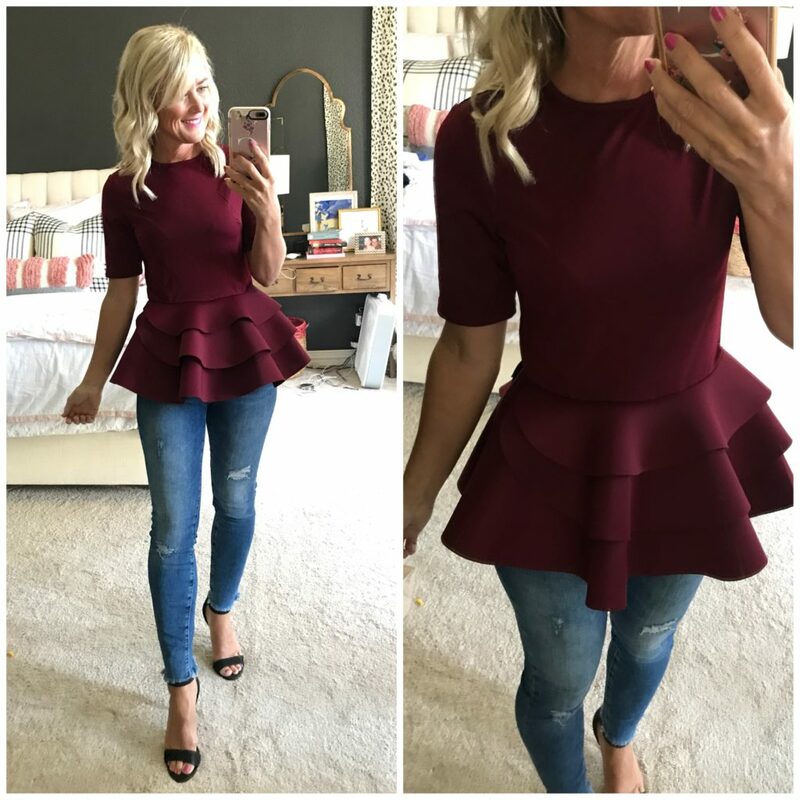 Moving on from cozy basics to fun and flirty…how adorable is this peplum top?! The top half is a stretchy material that hugs (and accommodates larger chests), and the bottom a sort of scuba material that allows the tiers to stand away from the body without falling flat. The longer sleeves give the flirty shape a chic feel, too. 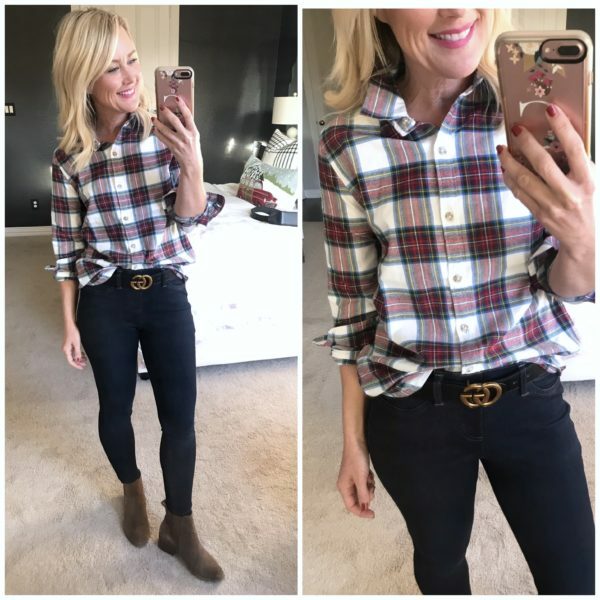 This is so fun for an evening out with jeans and heels, or you could pair it with a black pencil skirt for a chic, dressier combo. Fit Tip: I’m wearing an XS in this color, and it was a little too snug, so I’d go up one. Same top in a deep burgundy, this one a size up. I’m wearing a small. So many colors to choose from, and a lot of fun for less than $20! 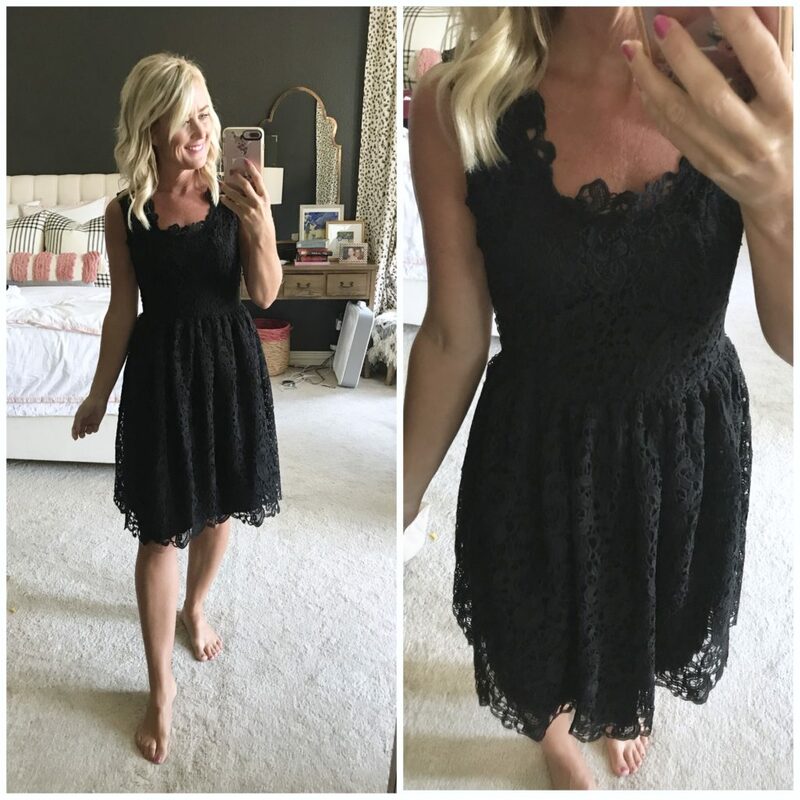 I was on the hunt for dresses for formal night on the ship, and found this lace fit-and-flare. Can you believe it’s under $25?! And fully lined!? It has a fun square neckline (that allows for a regular bra), and flattering fit-and-flare shape. I love the knee length, too. Perfect with jewels for a wedding or holiday party, or even a jean jacket and flats. Could this dress be any more Audrey Hepburn? And it’s under $30!! Serious steal on this one. It’s a thick cotton with lots of stretch, darling cap sleeves, fit-and-flare shape and a tie-waist. And available in 40 colors and prints! 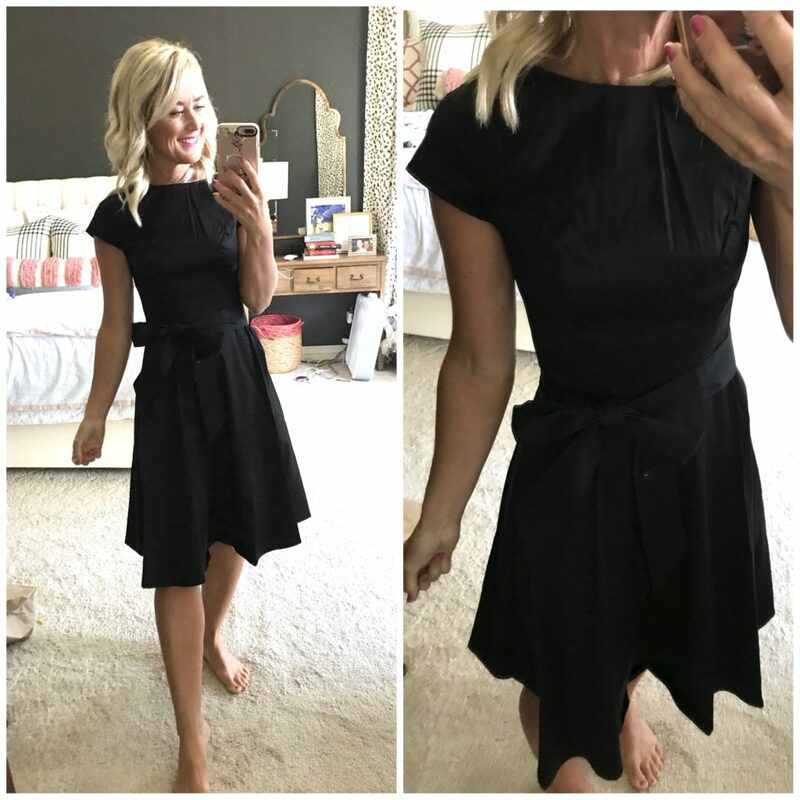 It’s incredibly versatile and easily dresses up or down. Fit Tip: I’m wearing a small and it fits great, so size up one. Same dress, but in my usual XS. You can see it pulls across the chest and shoulders a bit. I’m sharing because you can see the details a little better with this bright blue. 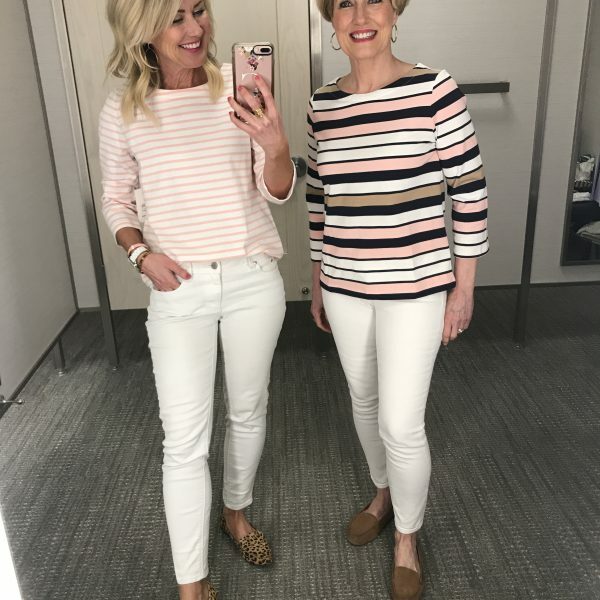 Let’s move on to some more casual dresses…the next two would be great for moms on the go, and teachers with active classrooms. 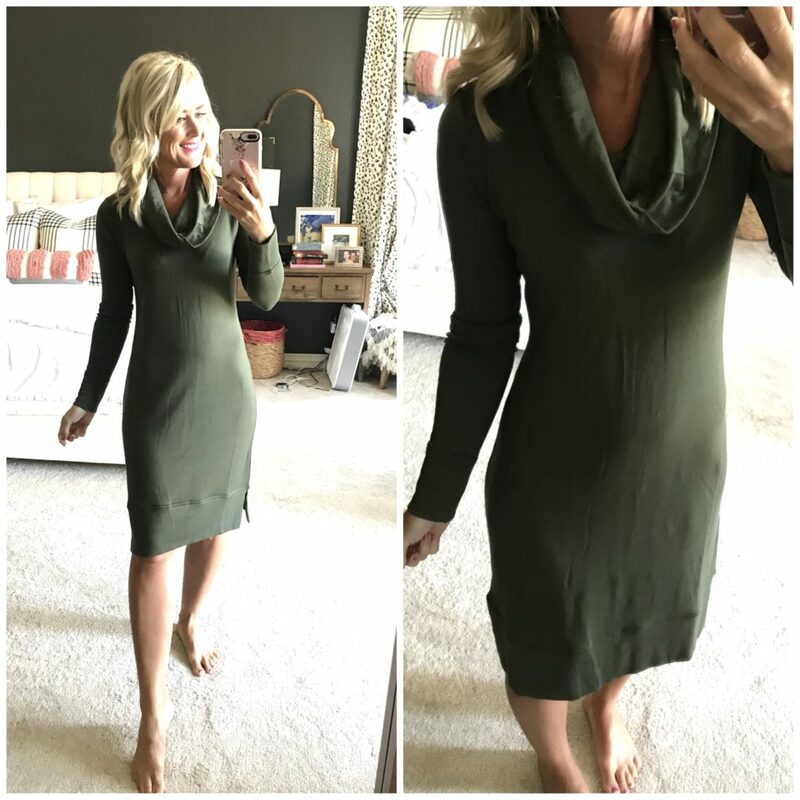 Similar fabric to the first tunic in this post, this stretchy dress is super soft and comfy. 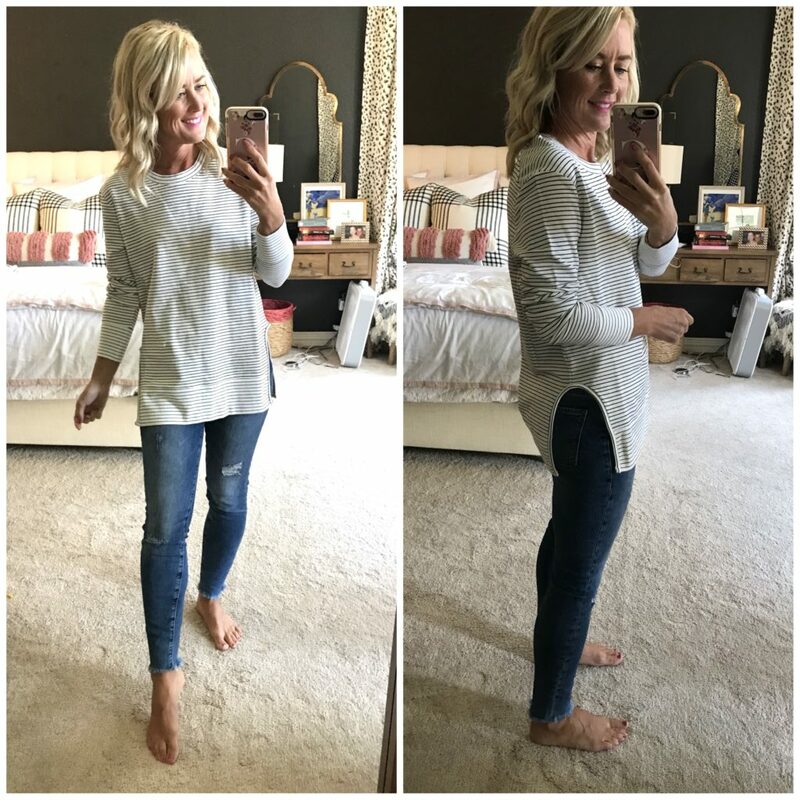 It’s a medium weight, with relaxed cowlneck and falls just below my knee (I’m 5’4″) I’d pair it with a jean jacket and sneakers for an easy, chic mom-uniform! Fit Tip: I’m wearing an XS, but would prefer a small for less body-hug. I do wish it were shorter though, the length a little long for me. 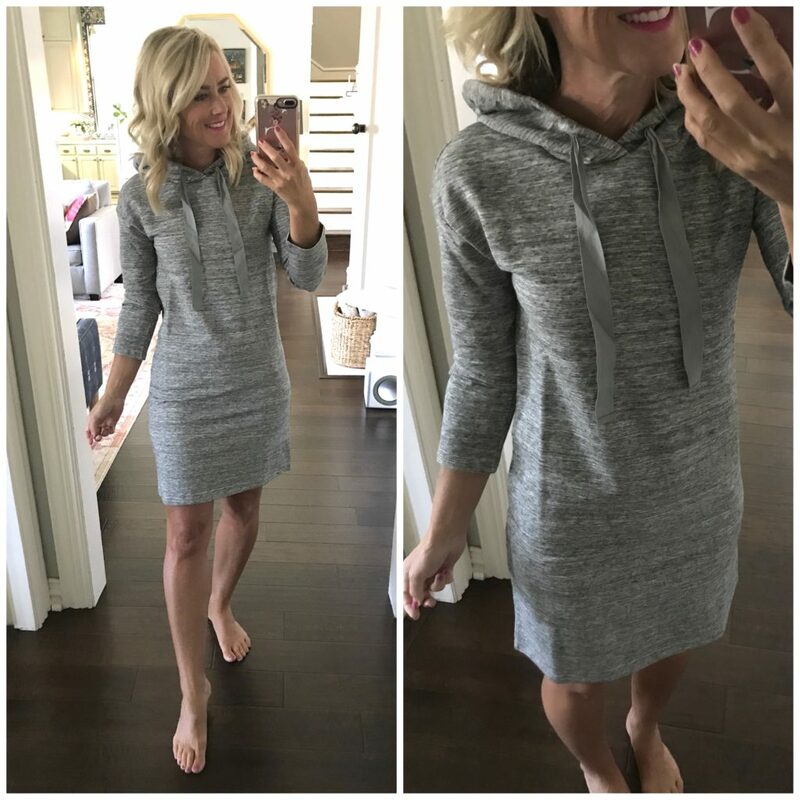 This hooded dress is exactly my style and the perfect length. I’m a sucker for the hood, and it’s surprisingly thick…especially for $30!! Again, I’d style it with a jean jacket and sneakers, or alone with sandals. Super cute alternative to jeans and a tee for casual days. Fit Tip: Wearing an XS, and while it’s thicker than the last one and doesn’t show as much, I’d still prefer a looser fit. So size up depending on the fit you prefer. 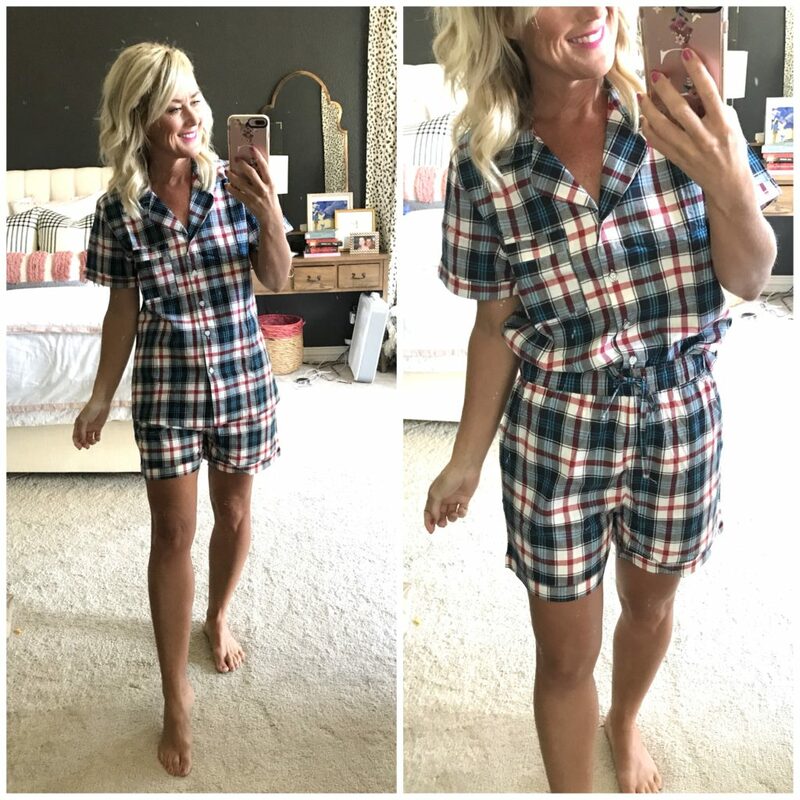 And finally, we’ll end with a cute pajama set in a fun Fall plaid. This two-piece is thick and substantial, and really holds it’s shape (not flimsy). The shorts also have a longer inseam, so you’re more covered than most shorts sets. They also come in tons of colors and patterns, and size up to XXL. 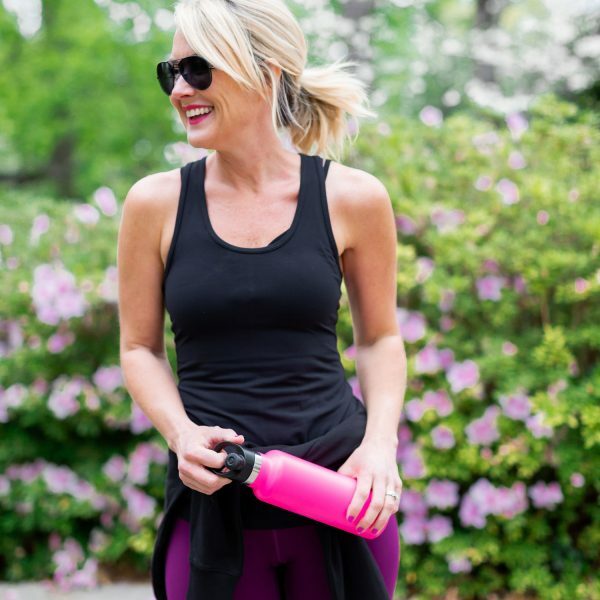 I also found this great messenger bag for Mr. SP…he loved it for travel, and these might be the best long workout leggings ever! Especially for the price! And I’ve already ordered these cropped leggings and yoga top for our next post. As for our random Amazon orders…last month they included this anti-frizz micro towel for Little Miss’s long hair, these 2-pack dual USB charger cubes (great for multiple devices), this bag to keep cords organized for travel, and this jumbo box of toys for our ‘aggressive’ chewer. What have you ordered from Amazon lately? What’s your favorite fashion find from this month? Find more Amazon Fashion Finds here and here, and see all the Amazon finds I wore in Florida here. And if you follow me on Instagram, stay tuned to my Story later for a live try-on session of these items! You always find the greatest stuff!!! Amazon is a great source for household items, toys, and books . . . but have not been impressed with the fashion items I have ordered there. The low prices are enticing but quality may/may not be ideal. Prefer to see items from Nordstrom or J. Crew. I’ve never ordered clothes off of Amazon. Love the striped pullover! That hooded knit dress is the cutest look ever. Four season, day or night. What’s not to like? I should try to find stuff to wear on Amazon. But it’s just a bit hard with my body shape (currently bigger than I want and not fitting in my clothes properly so I’m avoiding buying clothes…..to not have to face the fact that I need to size up a size 🙁 ). Those peplum shirts are adorable. However I find that these only really look good on ladies with very little hip to waist ratio (i.e. smaller curves) like you. It looks amazing on you. 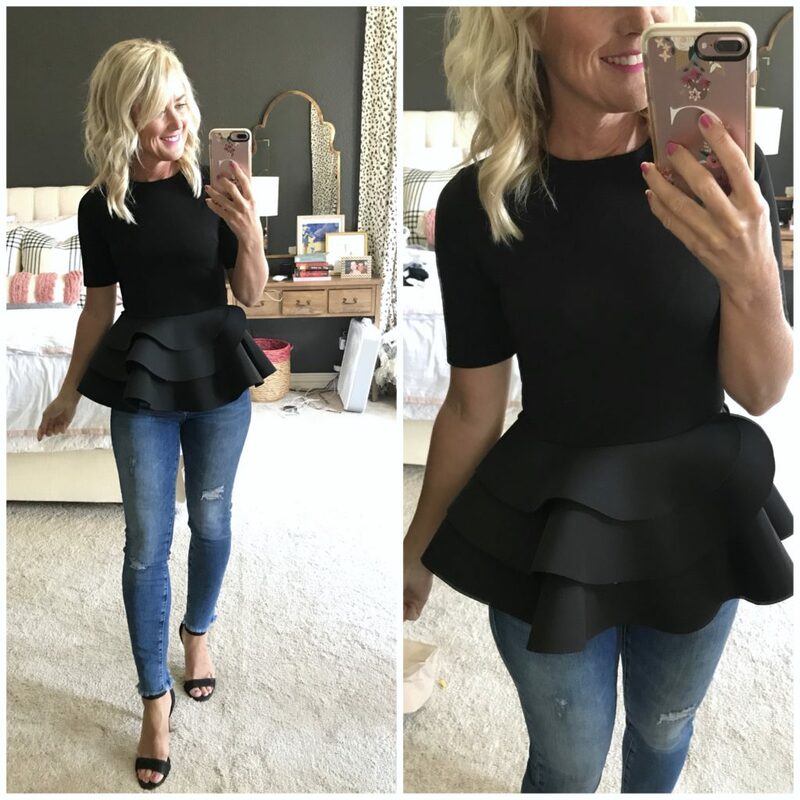 I’ve tried peplum when it started being popular and quickly realized it’s a no no for my shape (small waist, large hips and thighs……….they make me look like an actual chunky pair when I’m really an hourglass figure!). As for my last Amazon purchase, it’s really boring, I bought my book for my university course I just started. However I must praise Amazon immensely as I found the exact edition I needed, used but in great condition for 15$ (CAD) instead of the market price of 100$ (CAD). Is that not insane? Hopefully I get to buy all my school books at such prices!!! Hope those tanks come back in stock because I LOVE the neckline! I buy maternity tanks from Target for the extra length and thickness, but I’ll definitely be trying these. Such good finds!! Love your Amazon finds. It really is hard to search for the good stuff. You know it might be fun to see the stuff you didn’t like. Just a thought. Thanks for your wonderful blog! Wow, you look great in everything!! I especially love the black and red peplum tops! Never looked on Amazon for clothes, but will keep my open now for cute finds!!! LOVE THIS! Please keep doing these! We use Amazon Prime to a shameful degree with an 11 month old in the house and working full time. (Last week my husband did say “you know we COULD go to the store”) I can use all the time and budget saving mom hacks out there! Thanks for these Amazon finds. I enjoy many of the pieces you select from Nordstrom. I just love their free shipping and returns with no time limit. So helpful! I’ve purchased a few of your Amazon finds and have had trouble with the free return. Wondering if anyone else has experienced this?? They tell me I have to pay $7.50 return shipping and that the item wasnt fulfilled by Amazon. Even though it clearly states it is. Anyways, it’s a little frustrating. But if you give good recs and I’m liking a few of the items, it might worth the frustration. Thanks!! That’s disappointing to hear!! But, unfortunately, not every item offers free shipping…each item will list their return policy in the description. What’s up with the same pose in every pic?! It must be on purpose and I’m just wondering what the purpose is! 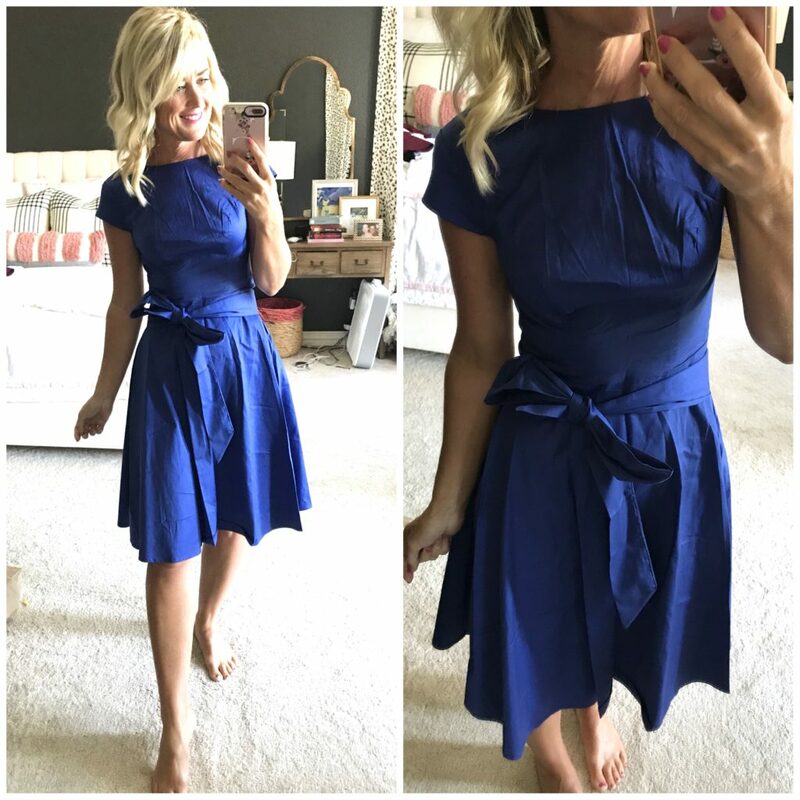 Just received the cotton fit and flare dress I ordered this week. Needed a dress for the hub’s work dinner and all I did was scour your amazon posts. It did not disappoint! Perfection. Thanks so much for saving me time and money. Keep the amazon posts coming.